This 1000-piece jigsaw is designed by Larry Jones and measures 50 cm x 68 cm. A group of barn animals come together to decorate a Christmas tree. Available in two-piece counts. This 300 large piece jigsaw is designed by Larry Jones and measures 45 cm x 61 cm. 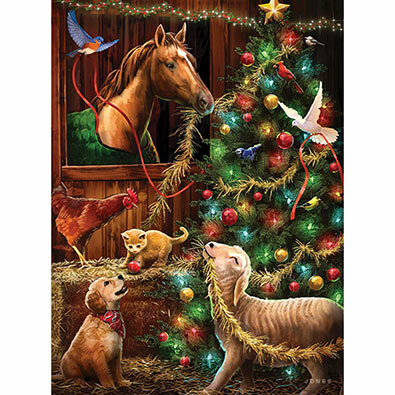 A group of barn animals come together to decorate a Christmas tree. Available in two-piece counts.